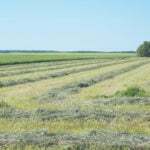 Marketing your grain to the U.S. The Ceres Northgate Terminal works with BNSF to move grain into the U.S. If you had a good arm, you might be able to stand outside the Ceres Northgate Terminal and wing a baseball from Saskatchewan into North Dakota. While the terminal and most of Ceres’ twin-loop track is in Canada, part of the track is south of the border. The facility’s border-straddling location, southeast of Estevan, is key to its logistics. Rather than hooking into one of Canada’s main railways and shipping product to the West Coast, Ceres exports Canadian grain into the U.S. on the Burlington Northern Santa Fe (BNSF) line. Ask the Northgate facility’s management about the rail service, and their praise for BNSF is effusive. “I think the only thing that I can say is they’re very customer-service oriented. That’s top-down in the company,” says Jeremy Nielsen, general manager for the site. BNSF brass has visited Northgate. Jeremy Johnston, facility manager, says the best part of that visit was having people with plenty of management and logistical experience offering suggestions. “BN has been excellent, to be put in a nutshell,” says Johnston. While they sometimes run into delays because of weather or other issues, communication between BNSF and Ceres is good, he says. “Any issues we have, we just bring them up right away. Generally within a half day, we’re getting something back on what we can do, how we can manage it, what they’ll do for us,” says Johnston. Lewis says that while BNSF participates in industry-led arbitration and abides by regulations on both sides of the border, it’s more effective to listen to customers and work with them before an issue needs escalation. Marlin Cogswell running a locomo- tive on the Northgate track. Ceres employees run locomotives on the Northgate track, at low speeds. “For our agricultural customers, we have ombudsmen throughout our network whose jobs are to listen and communicate with customers,” she says. Lewis says that BNSF creates a winter preparation plan each year for each division. 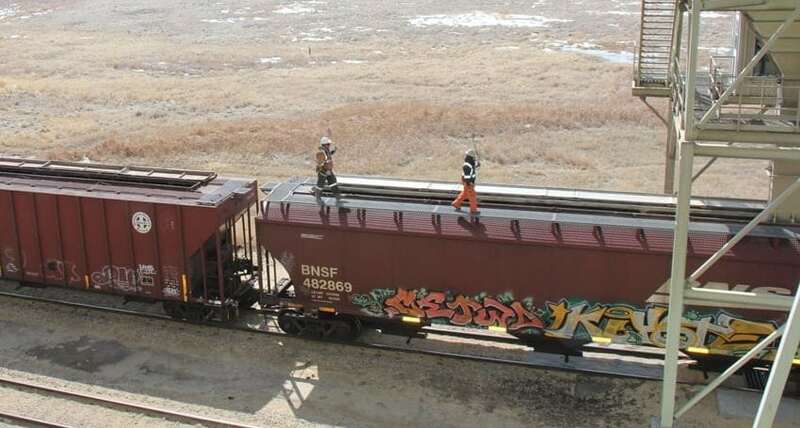 The goal is to position BNSF to “quickly add manpower, equipment and supplies to address service interruptions caused by weather.” BNSF also recently added another locomotive to each grain train in the northern corridor, so that there are now five locomotives per train in the winter. Johnston describes BNSF as a partner. Without their traffic and service “we wouldn’t be able to do what we do.” Ceres employees talk to BNSF about what they want to do and BNSF responds by getting them more cars, or more BNSF staff, Johnston says. Nielsen adds that BNSF sends Northgate business as well. The good feelings appear to be mutual. Earlier this year, BNSF awarded Northgate the Premier Transloader designation. 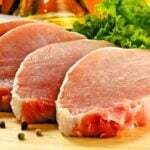 Lewis explains the designation acknowledges the few companies that demonstrate the highest level of supply chain management. “To become a premier transloader, transload facilities must consistently provide customers with responsive, reliable, quality service that is routinely above and beyond the norm,” she says. Johnston worked in industrial construction for over 20 years, building everything from gas plants to high rises on the West Coast. He started at Northgate before the terminal was built, organizing construction. A month or two into the job, he shifted to managing the daily grain operations. Northgate was built as a shuttle facility, with the goal of filling 110 cars within 15 hours once they’re on site. By the fall of 2014, the twin-loop track was set, and two grain bins were on site. Northgate did a pilot run, sending cars south, before going into operation. 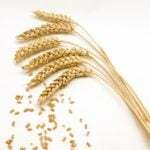 These days Northgate’s big four for grain exports include wheat, durum, canola and oats south of the border. The rye program is picking up, and they also ship some lentils and peas. Northgate also brings in Koch fertilizer, which is then distributed to retailers. On the energy side, Northgate transloads propane, and can hold 60 to 80 cars of propane on site at a time. With a new transloader, that side of the business is set to double, says Nielsen. Northgate also brings in inputs such as bentonite for the oil and gas industry. Nielsen started as the general manager on February 1, 2018. 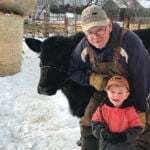 He also farms with his family, and before being hired on, he was a Northgate customer. He’s also worked in the oil and gas sector. That experience has come in handy. He talks “bushels in the morning and barrels in the afternoon,” Nielsen says. With all this activity, a big part of Nielsen’s job is making sure all the different parts of the business are working together. Each morning the grain, energy, and industrial products employees gather for an operations meeting. Ceres staff from Minneapolis phone in as well. It’s about figuring out who’s doing what, and how they can best use their resources. Northgate has its own locomotive that employees use to move cars within Northgate’s yard. BNSF has also trained Ceres employees to operate BNSF locomotives on Northgate’s track, at low speeds. This allows Ceres employees to hook up trains and move cars themselves, rather than having to wait for a BNSF engineer. Staff loading cars at the Northgate facility. Northgate was designed to fill 110 cars within 15 hours once they’re on site. In 2017, Northgate averaged 650 cars a month, says Johnston. The facility can hold almost two full trains in-house, then ship them out back-to-back. “And so we don’t stop. We have two driveways that run 12 hours a day, five days a week, at minimum. And then if we need a product, it’s weekends,” says Johnston. 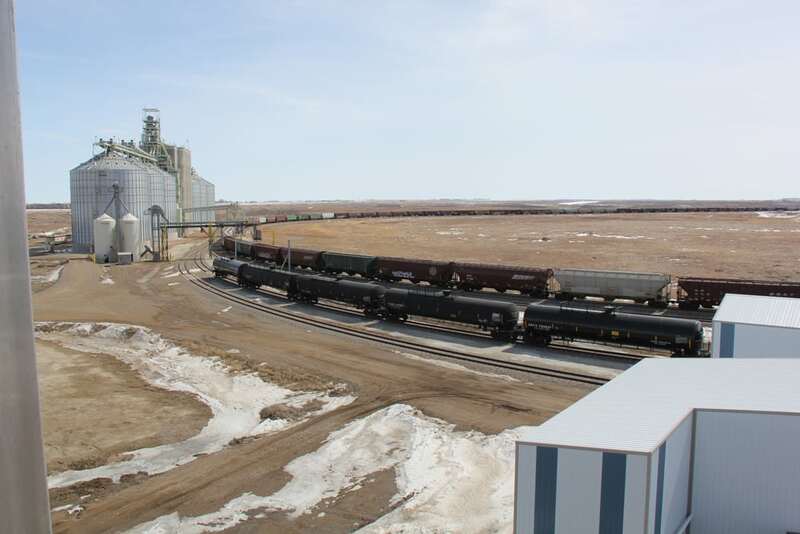 As the facility has grown, the system around grain deliveries has changed to electronic allocation. When farmers sell grain to Ceres, they decide on a delivery date with the origination group. 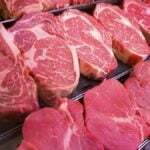 As that date approaches, employees give farmers a one-hour time slot to deliver. “So every hour is booked. Five trucks an hour, by driveway, by commodity,” says Johnston. Johnston acknowledges that hiccups happen, but the goal is to hit the one-hour target 90 per cent of the time. And if there is an issue, employees can text or email farmers. Johnston seems to be glad he switched into the grain industry three years ago. He says it’s interesting. When Jeremy Johnston started as Northgate’s facility manager, he brought experience in logistics and management. But he faced a massive learning curve on grain grading, he says. 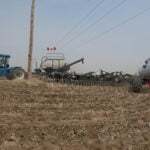 Johnston learned from a former Canadian Grain Commission (CGC) grader for a year to a year and a half. After that, he went to Minot, North Dakota, to learn about the U.S. grain grading system. Northgate has almost no inbound grain from the U.S., with the exception of a small amount of canola. The vast majority of the terminal’s grain falls under Canada’s grading system. Most North American sales want a U.S. grade on destination, so North Gate fills cars according to those specs. But international customers usually want Canadian grades. Now Johnston provides some of the training to Northgate’s graders. The port terminal also has two senior graders. One is fourth-year certified, and came from the elevator system. The other senior grader worked under a CGC grader in a previous job for several years. 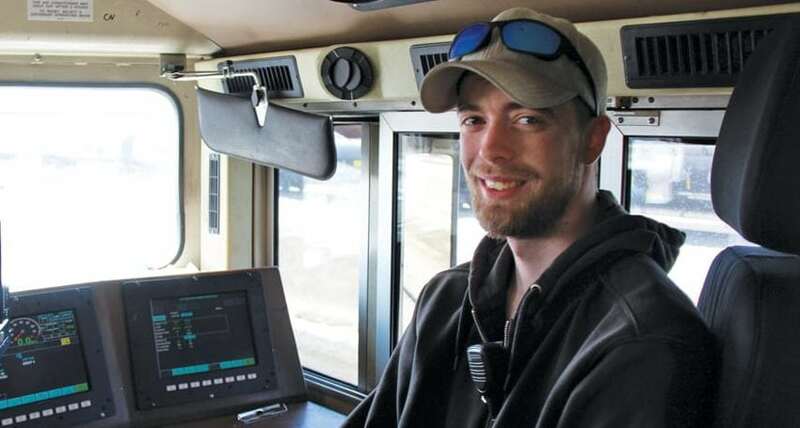 A third-party grader also grades grain cars headed south, and provides some on-site training, says Jeremy Nielsen, general manager. 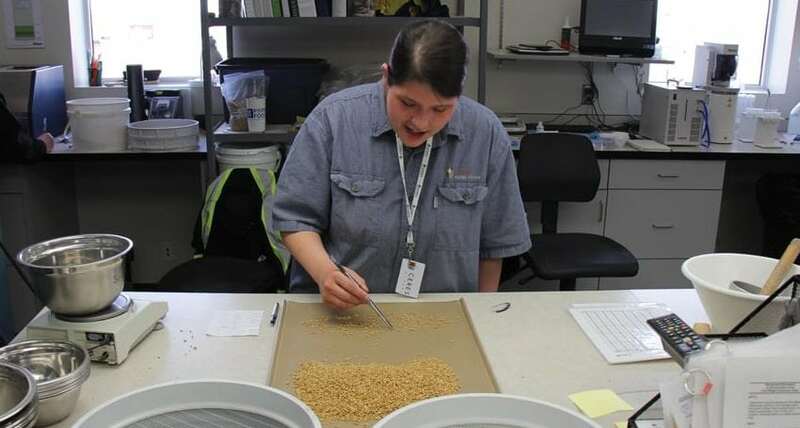 Johnston adds that the third-party grader is helping develop Ceres’ grain-grading program. That program includes tiers for employees to achieve. aspects of the business. But for the most part, Johnston tries to separate the two sides as much as he can. He says that the idea is to keep people focused on their craft. Johnston says the grading training goes over well with customers, as it helps ensure that they’re getting correct grades. Nielsen says they ask for a higher spec from farmers, and pay premiums. 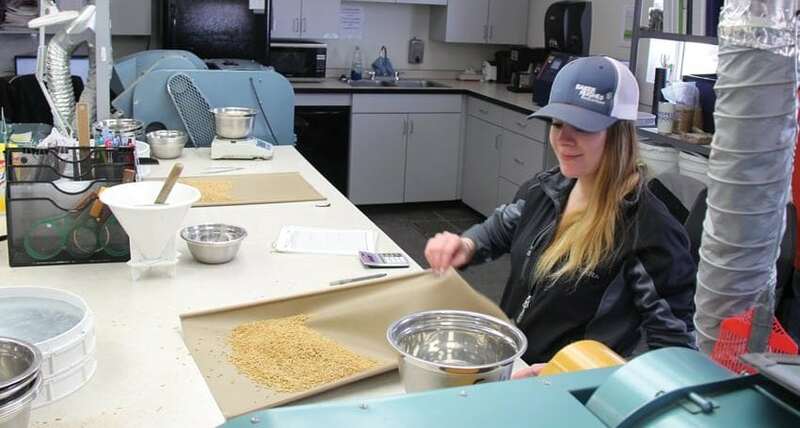 Lyndsie Flett grades durum at Cere’s Northgate facility.